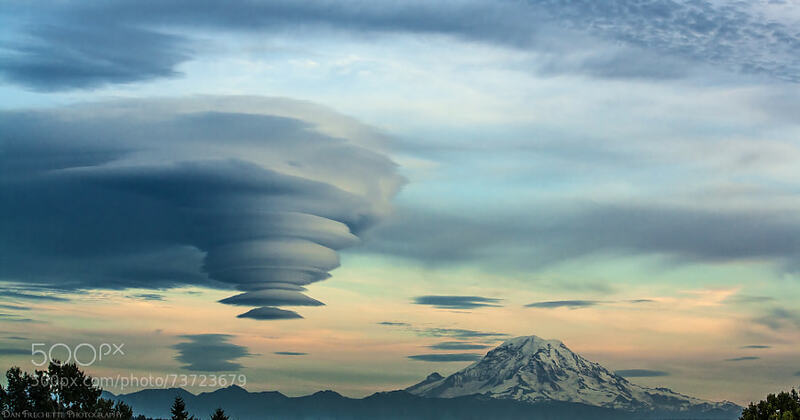 New on 500px : Rainier Cloud Cap by orionsector by orionsector | Peter "Just Loves Flying"
One of those rare cloud formations forming over Mt. Rainier. This only seems to happen once every few years or so, and not usually this dramatic. This image was taken from Auburn, Washington.